Faithful to company tradition, Bongioanni Stampi continues to support its customers with innovations and state-of-the-art technological developments. 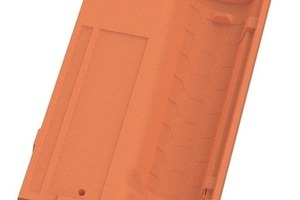 › Packaging: contact points between the roofing tiles on the pallet, number of tiles, etc. 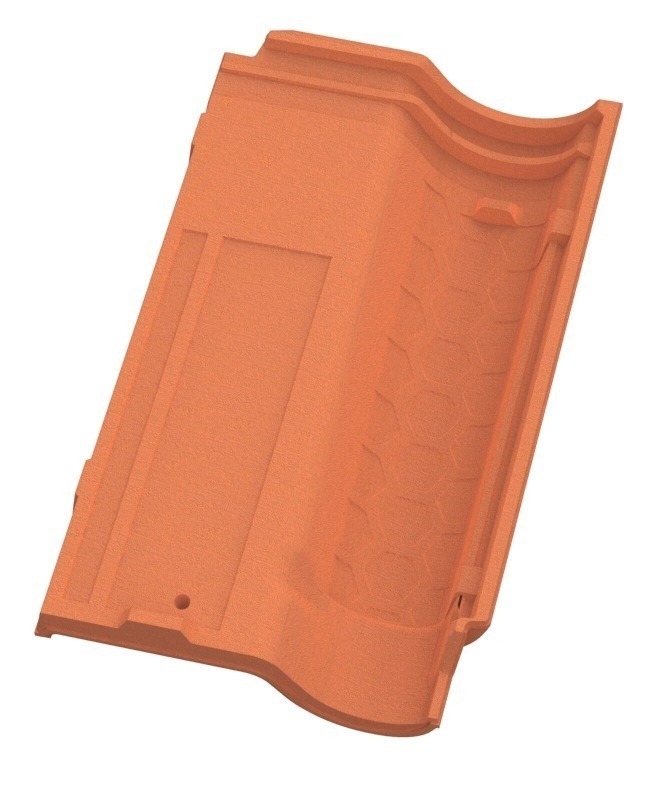 Today IT support enables simulation of all the loads to which clay tiles are exposed on the roof. 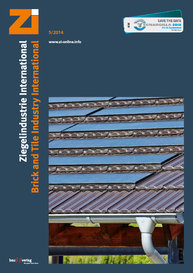 Besides the laboratory resistance tests necessary to comply with the required standards, calculations can be made for the design or reworking of clay roofing tiles based on simulations of the loads to which the product is exposed. 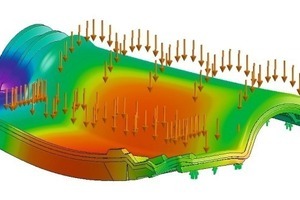 With these calculations, it is possible to optimize the tile geometry to maximize tile strength while minimizing its weight with the consequent energy saving during production and transport. One example is the redesign of a Portuguese roofing tile by Bongioanni Stampi. 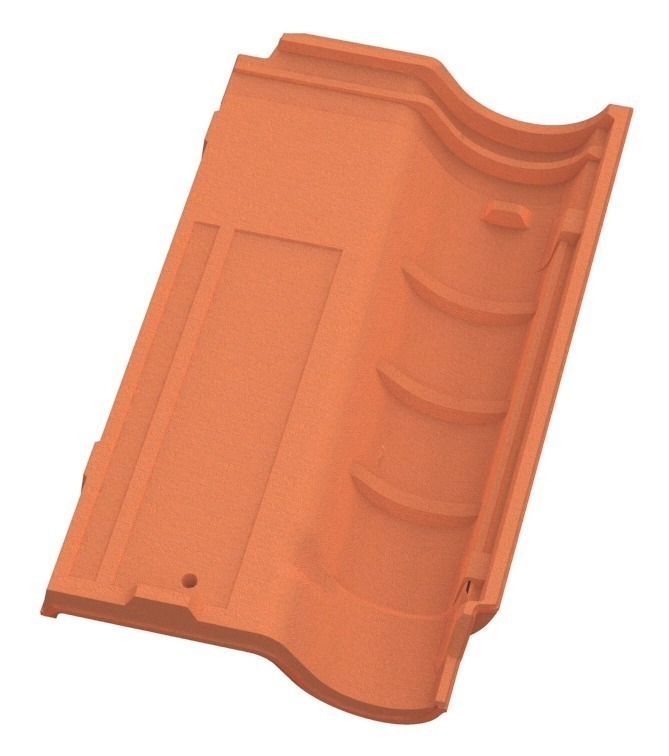 The goal of the optimization was the elimination of the ribs common for this type of clay roofing tile. This was not only intended to reduce the weight of the tile. The shadow on the visible side caused by functional reinforcement on the underside of the tile was to be eliminated. 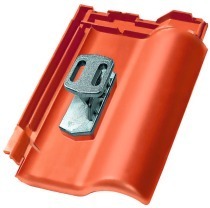 The result of the study was a 5-% reduction in the weight of the fired roofing tile. 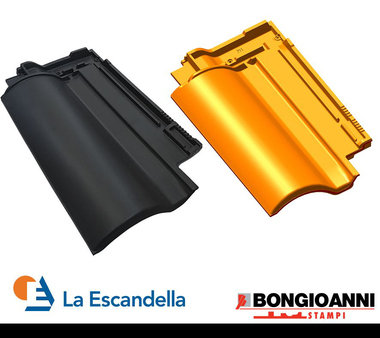 Bongioanni Stampi offers this service for all types of clay roofing tile irrespective of the manufacturer. 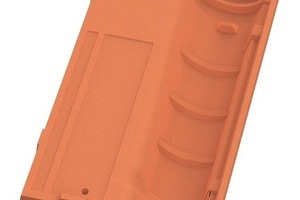 With the help of the 3D ­scanner, clay roofing tiles can be modelled and optimized in their green and fired state.